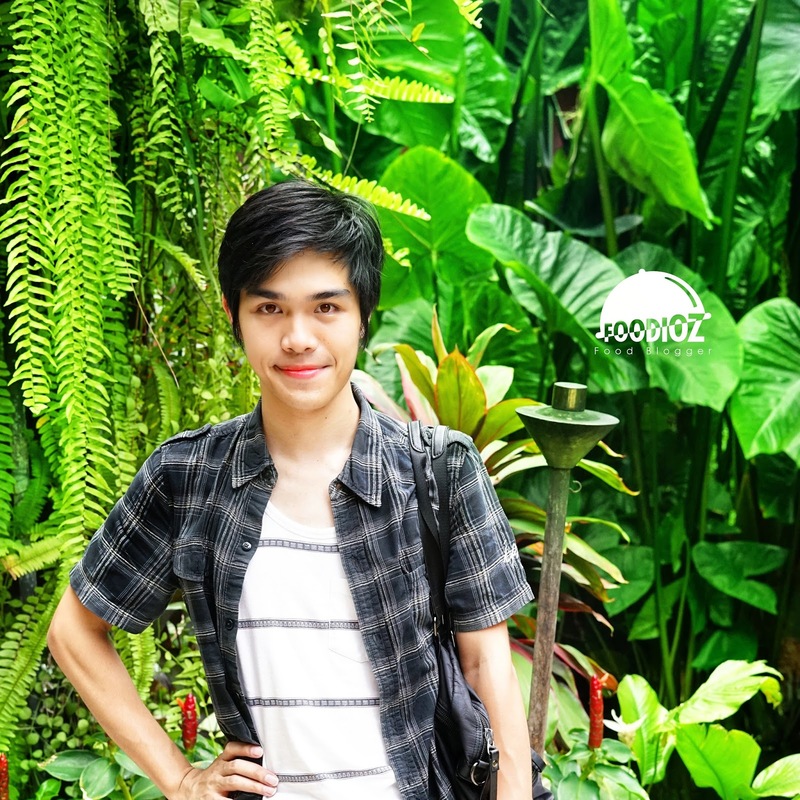 Hi foodiozer! for you fans of Indonesian food, of course very easy to find local culinary restaurant with interesting concept, classic and of course delicious in Jakarta. 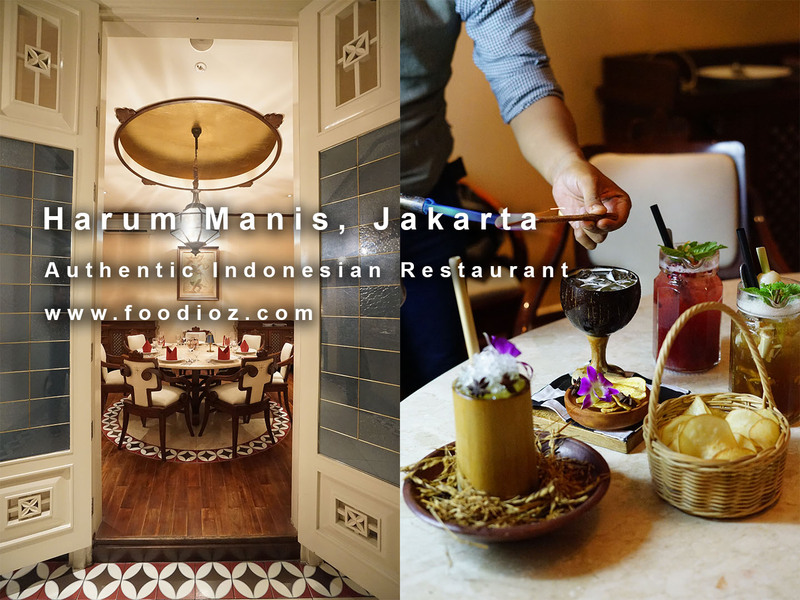 This time i had the opportunity to visit a familiar Indonesian restaurant that is Harum Manis located in Central Jakarta area. Harum Manis has been operating for about 10 years in Jakarta. The concept of classical Indonesia is clearly visible from the interior side of the whole restaurant. Javanese ornaments are so strong along with traditional music make Harum Manis feels like an exclusive local restaurant. Visits at supper time does require more efforts to taking photos where the lights are dim so slightly dark. 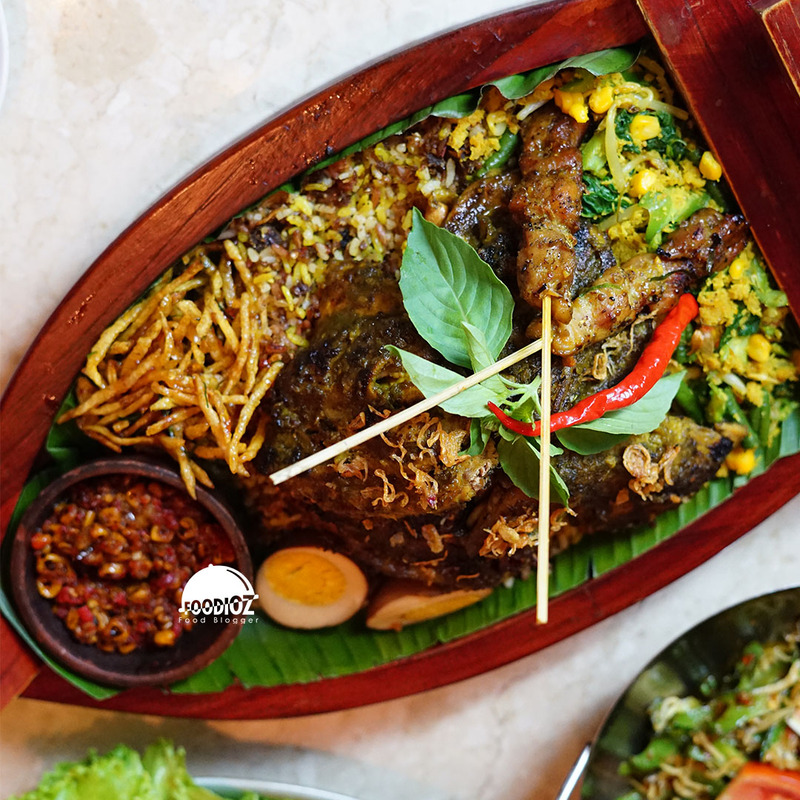 The menu offered is dominant with the typical menu of Central Java, but do not miss the other Indonesian local menu can be enjoyed here. 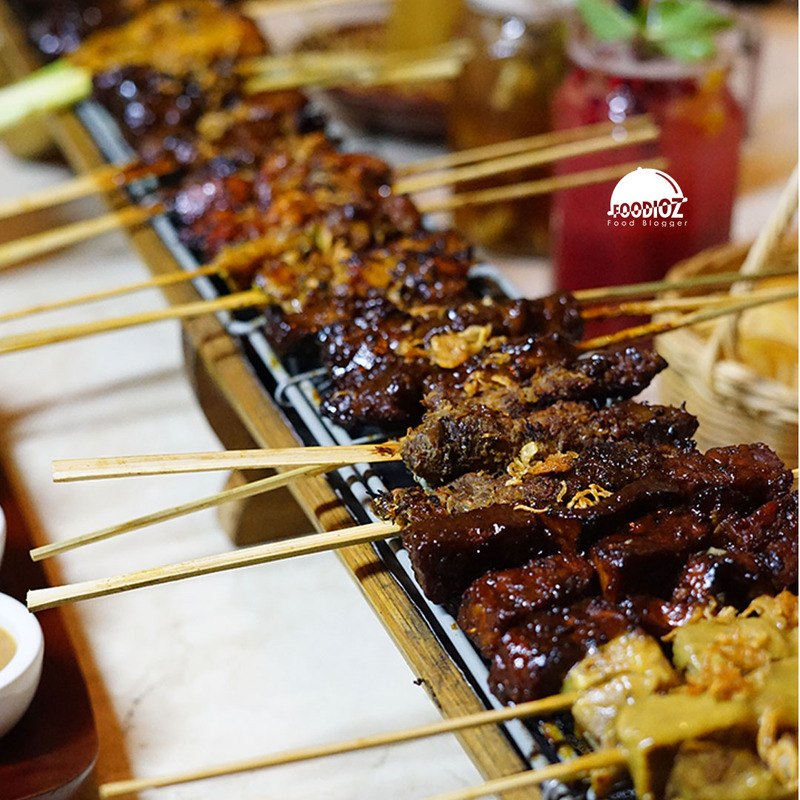 One of the menu is worth a try Sate 1 Meter. As the name of course the Indonesian people are not strange to the satay or skewers, but Harum Manis presents satay with an amazing presentation with arrangement of various skewers on bamboo with the size of 1 meter. 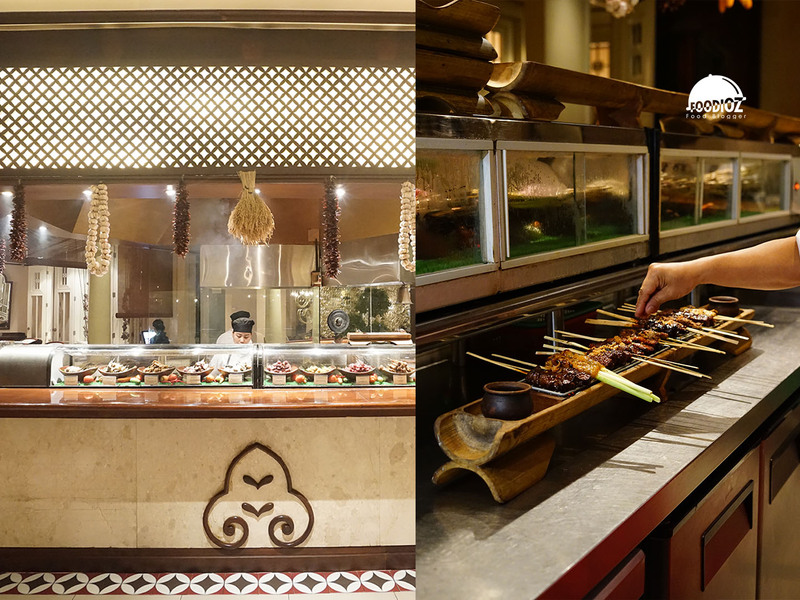 Started from chicken satay with different spices to lamb satay and premium wagyu. 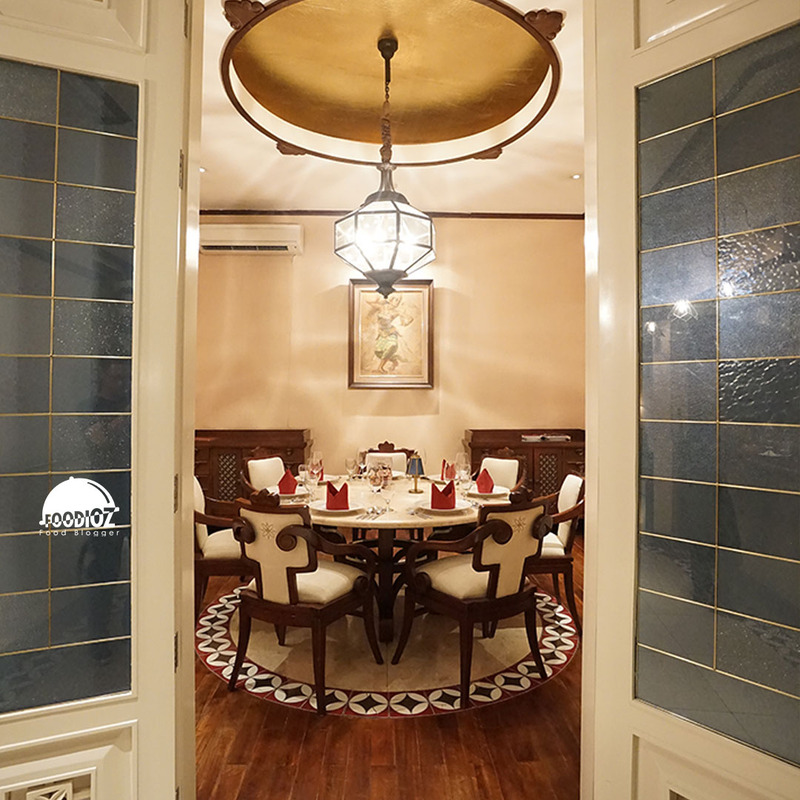 This menu will be suitable for people from 3 to 4 people. 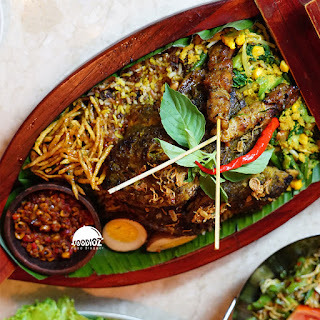 In addition to satay, Ikan Bakar Sakura Saos Dabu Dabu also be a menu that delicated to miss. Fish with a large size combined with a typical dabu dabu sauce topping taste fresh and spicy. 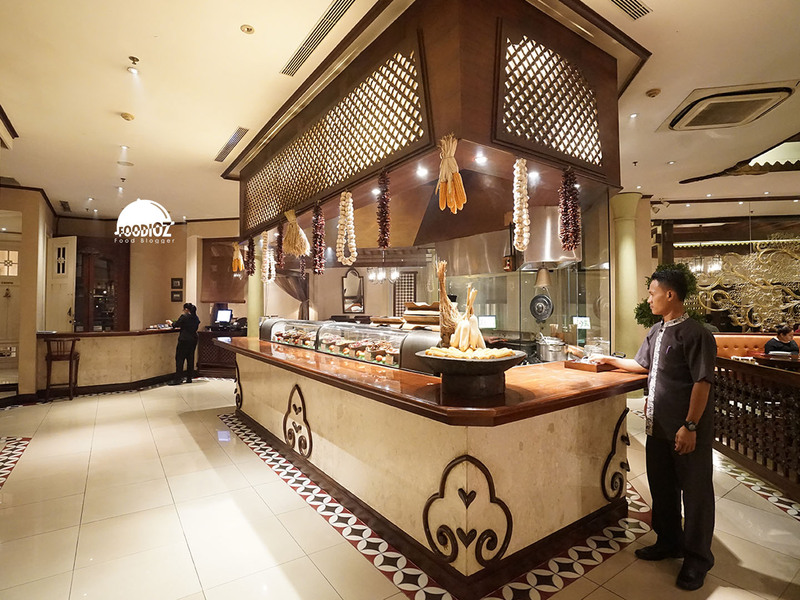 There is also the mainstay menu at here is Chicken Sweet Harum Manis. 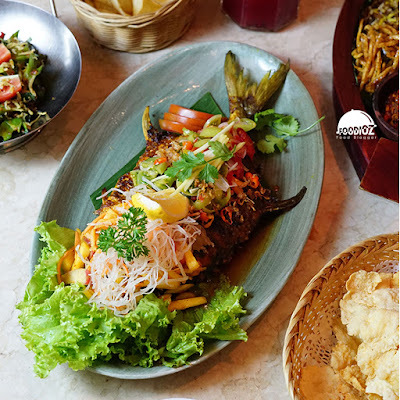 A chopped chicken is processed with special seasoning, served with uduk rice and corn, then complete with urap (Indonesian mixed veggies), red corn sauce but taste light, and potato chips that combine sweet and spicy flavors are delicious. Every month Harum Manis also provides a different special menu. In April i had the opportunity to taste the Sop Kambing Labu Parang, a lamb shank in clear soup with amazing presentation, an authentic aroma and an authentic Indonesian flavor. 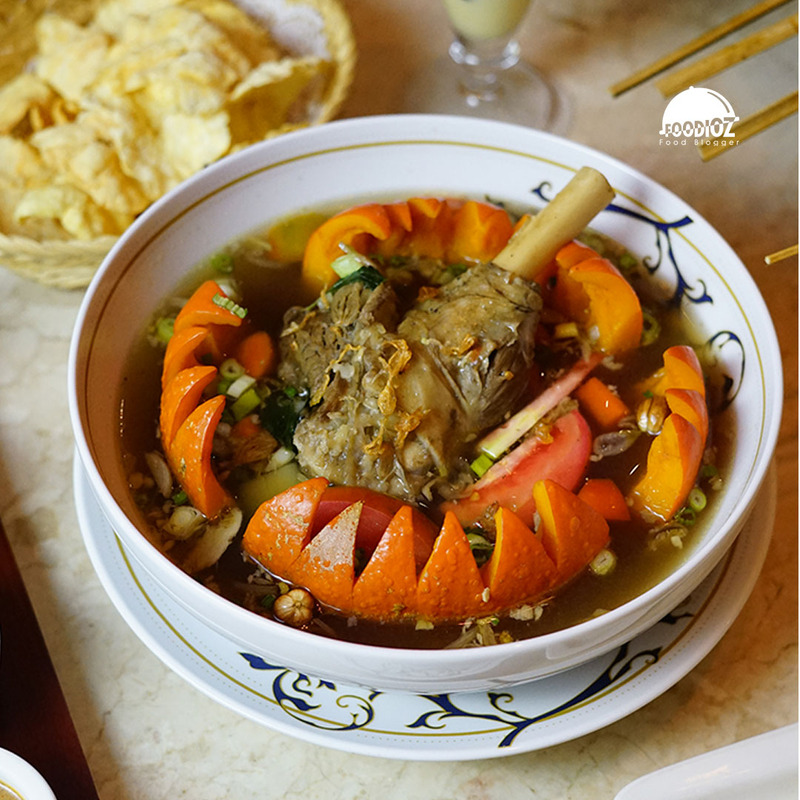 This menu is certainly very suitable for Indonesian people especially enjoyed together with warm rice. 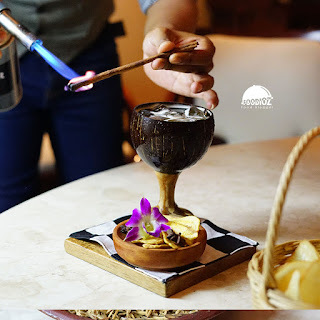 Besides food, Harum Manis also presents an interesting Indonesian-style cocktail. 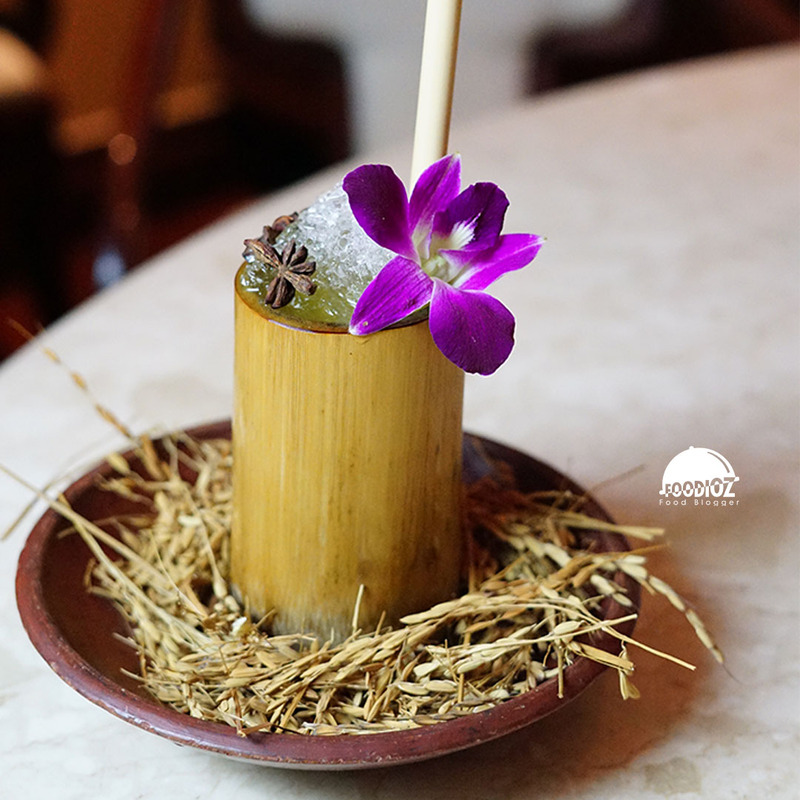 One of the signatures is Jamu Gendong, a mixture of whiskey, calamansi juice, aromatic ginger rice and soda water result in a super fresh and sour taste that fits. This cocktail will be perfect to enjoy during the hot sunny day. Then there is also inspired from Bali that is Pulau Dewata, cocktail with mixture of arak bali (Bali spirit shot), dark rum, coconut, banana syrup and calamansi juice give different freshness. An interesting fruity flavor gives the sensation of fun and quite light taste. The price offered is quite high considering Harum Manis is one of the typical Indonesian restaurant with a luxurious and elegant dining experience. 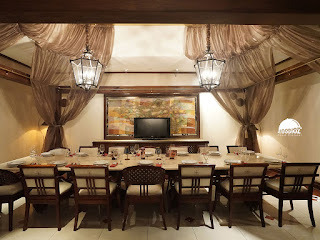 With premium quality food, great presentation and huge serving plus a friendly service like a fine dining restaurant.